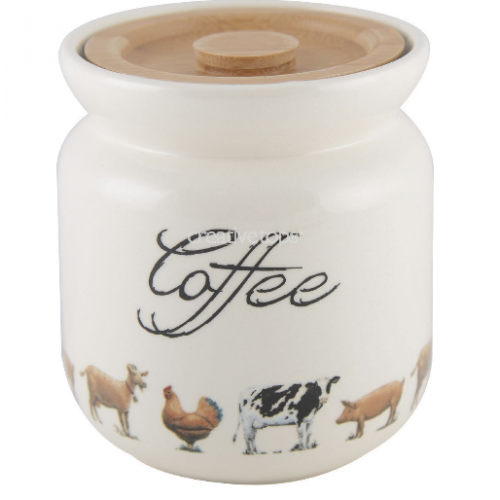 The Farmers Market 'Coffee' Storage Jar is made from sturdy stoneware and measures at 105mm (diameter) x 117mm. 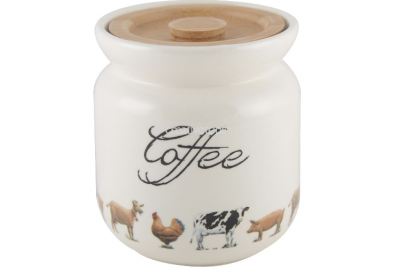 This charming storage jar is part of the rustic Farmers Market collection. Bring the simplicity of the countryside into your home with thes Farmers Market pieces created for the kitchen. 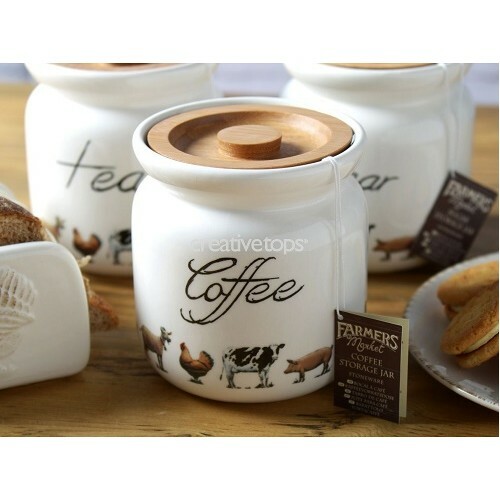 Includes storage jars, teapots, egg cups and butter dishes, as well as chopping boards, tea towels and milk jugs.